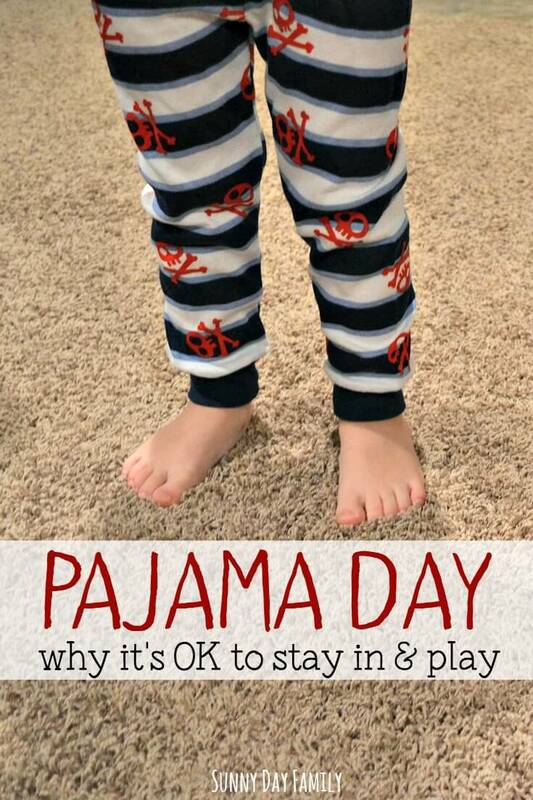 Today I did something I rarely do - I let the boys stay in their pajamas all day. And it was wonderful. I'm not one of those moms that over schedules her kids. I believe in down time, and I think kids just need to relax and play. But we are busy, and it seems like lately we have been on the go nearly every day. Even those days when I plan for us to just stay home and relax something always seems to come up. Or I have a never ending to do list, laundry, dishes, dinner... you know the drill. Today we had nothing on the calendar. It was hot and muggy with thunderstorms forecasted for the afternoon. We had a quiet morning, ate breakfast, watched some Mickey Mouse Clubhouse, and then they started playing so nicely that I didn't want to interrupt them to get dressed. The morning quickly merged into lunchtime, and they were still in jammies. And happy as clams. We had lunch. Then they went down for nap. And I took a nap too. This is such a rarity and it was glorious. Our lazy day continued after nap time. We wrestled and laughed our heads off, baked cookies, watched a movie (sort of), looked out the window at the rain, read books, colored... just an all around great day. My to do list is still sitting on the kitchen table from this morning. There's two baskets of laundry still waiting to be folded. There are dishes in the sink. But more importantly, there are two happy toddlers who have been smiling and laughing all day - and I have been present and enjoying every minute of it. I'm writing this to remind myself that sometimes it's OK just to stay in your PJs. It's better than OK, it's important. And really fun. And what family is all about. Today was a good day. Even though it rained.